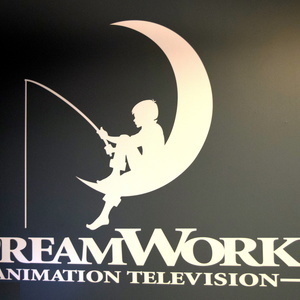 In this podcast, we cover the tour of DreamWorks Animation Studios in Glendale, CA, where Marc and his wife Kim talked to the people who work on Voltron Legendary Defender, who share their work and sincere thanks to the fans of the show. Marc and Kim also went to WonderCon and Marc shares his thoughts on Voltron fans, cosplay, artists, and the Lion Forge Comics signing with Tim Hedrick. And Greg introduces a brand new regular segment for the podcast called Retro Voltron. We're happy to share the visit to DreamWorks Animation Studios, where Voltron Legendary Defender is made, and wish to give a special THANKS to DreamWorks PR, Line Producer Benjamin Kaltenecker, Joaquim Dos Santos, Lauren Montgomery, and the whole team at DreamWorks Animation, working on Voltron Legendary Defender. You are all doing a stupendous job and we continue to be amazed at the wonderful show you've produced and the huge fandom that has supported this incredible show on Netflix. April 3rd - TODAY - is Pidge's Birthday! Happy Birthday, Pidge! Look for a Special Video Greeting from Bex Taylor-Klaus sometime today on the Official Voltron Social Media Channels! ONE WEEK LEFT TO ENTER FOR THE PRIZE PACK!! -- A signed Playmates Toys Legendary Black Lion, signed by everyone at DreamWorks Animation who were on this podcast. This is surely one of the rarest, most unique and sought-after prize packs we have ever offered to Voltron fans on this podcast... AMAZING! Remember, you only have one week left to enter, so send us your emails, and tell us your thoughts on Season 5 of Voltron Legendary Defender! Also, in this podcast, we mentioned Marc and Kim's visit to WonderCon, and all the great things we saw related to Voltron, including all the amazing cosplay at a fan meetup, the Tim Hedrick signing at the Lion Forge Booth, all the great Voltron fan art we saw (and bought) at Artist Alley, and all the great Voltron fans that saw us and talked to us and gave us gifts. Thank you all for making WonderCon so special for us! We have pictures and some links to the videos we shared on social media. Enjoy! Thanks to Greg, we are introducing a brand new segment which will now be in every podcast, called Retro Voltron. We appreciate everything Voltron, and although Voltron Legendary Defender is the freshest Voltron out there (100% on Rotten Tomatoes), we want to share something from Days of Long Ago or maybe not so long ago, with respect to Voltron. This segment will share our thoughts on something cool and interesting from the Voltron Universe. In this podcast, we talk about how different the first episode of Beast King GoLion is compared to that episode edited for Voltron: Defender of the Universe when it first aired in 1984. The stories for the Japanese GoLion are vastly different from the American Voltron, despite using most of the same animation. Hear Greg and Marc's thoughts about these in this podcast.